You know that shiny emergency blanket you have tucked away in your backpack or emergency kit? It’s got so many more uses than to be just used simply as an emergency blanket. One use we will be talking about quickly today is as a heat reflector near a fire. 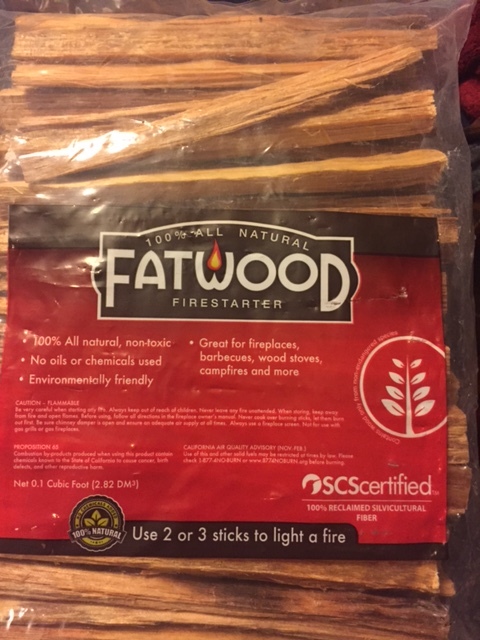 Find yourself two fairly straight sticks that are about an inch or so thick and will be about two feet longer than the shorter side of the emergency blanket. Sharpen one end of each stick to a point. Now lay your emergency blanket out on the ground stretched out flat. Take one of your sticks and lay it across the short side of the emergency blanket. Leave about 1 ½ feet of the sharpened end sticking out passed the blanket and about ½ foot on the other end. Start to roll the emergency blanket around the stick about 6 or so times. Now do the same thing on the other side of the emergency blanket with the other stick. You are now ready to setup a heat reflector by your fire. Choose whether you want the heat reflector across the fire from you or behind you. If you choose to place the heat reflector near the fire across from you, make sure, depending on the size of your fire that the emergency blanket is a reasonable distance away from the fire so that it doesn’t melt or get holes in it from sparks flying around. Once you have chosen where you want to place the heat reflector find a thick stick or something else that can be used as a hammer. Push the pointed end of each stick into the ground as far as you can well keeping the emergency blanket in between the two sticks as tight as possible. Now hammer the blunt end of each stick, making sure not to hit so hard you break the sticks wrapped in the emergency blanket, so that the pointed end goes further into the ground. Make sure to leave 2-4 inches in between the ground and the emergency blanket so that it is less likely to get damaged. You should now have a nice heat reflector that will help you capture some of the lost heat from your fire. If you set the reflector up behind you it will help remedy the issue of having a cold backside. As always get out and enjoy nature at your own risk and have fun doing it. Thanks for taking the time to read and feel free to leave a comment or let me know some of the extra ways you use emergency blankets. Take along a folded up piece of Tyvek when you go camping, backpacking or bushcrafting. You can make it any size you want depending on your needs. Tyvek is very lightweight but very useful. When camping or backpacking with a hammock it’s nice to have a small piece of Tyvek to set your bag and shoes on when you’re sleeping at night or to lay things on well you’re setting up your shelter. Depending on the size of the piece you take it could be used for many things, it could be used to cover firewood to keep it dry, ground cloth, make shift rain fly, food prep surface, make shift umbrella to keep rain or intense sun off, extra layer over or under your sleeping bag for added warmth, food storage bag, makeshift day bag, makeshift poncho or any other useful ways you can come up with to use it. What ways can you come up with to use a piece of Tyvek (size you would be using as well) for camping, backpacking or bushcrafting? Having trouble keeping moisture from affecting your ammo? Or maybe you would just like to keep your ammo dry for long-term storage. If you have access to a vacuum sealer you’re in luck. First you need to figure out how many shotgun shells or bullets you want to place in each sealed bag. Next seal one end of your bag. Now place what ever amount of ammo that you decided on, in the bag as well as a copy of the front of the box the ammo came out of so that you will know what is in each sealed bag. Now vacuum seal the open end of the bag. Lastly write the date of purchase or the date that you vacuum sealed the ammo on the bag. You can know rest assure that your ammo will stay “fresh” and you’ll have them separated out into useable amounts. This also helps keep spare ammo dry in the field. *Be careful to keep the ammo away from any hot part of the vacuum sealer being used. Try this at your own risk. Use hydration bags for kids to carry water and food. It will free up their hands for other things like picking berries and exploring. It will also get them use to carrying a bag on their back and slowly introduce them to backpacking over time. I found that with my own kids, they got tired of carrying a water container and the containers were too heavy to clip to their pants. I bought cheap hydration bags from Sam’s Club at the end of the season. I think I ended up only paying $15 per bag. I threw out the plastic bladder bag because it was a cheap plastic and I couldn’t remove the plastic taste and some of them leaked. I prefer to use Stainless bottles anyway. We just place the bottle in the area where the hydration bag would go and place snacks or any other items in the other pouches. There is also a nice little pouch inside of these bags where I place an emergency blanket for each child. That way if something happened where all or any of us got lost and had to spend the night in the wilderness unexpectedly, we would each have some shelter from wind, rain and cold. I like these bags better than other more expensive bags because there is more storage than a standard hydration backpack and they were a lot cheaper. They are a cross between a small hydration pack and a small backpack, perfect for our purposes. Someday I plan on doing a lightweight backpacking trip using one of these packs just to see how well it would work. I’ll let you know how it works out. Have a great time enjoying the wilderness with your kids. Electrical conduit also called EMT is great for so much more than just running electrical wiring. I use it for simple cheap fence posts. With a 3’x200’ roll of chicken wire and 14, 10’ lengths of EMT you can make a decent size fenced in area for chickens and it won’t cost very much at all. I cut the EMT in half so that I end up with 5’ poles. Using a sledge hammer I pound the poles about 2’ into the ground and I place a pole every 8’. They pound in pretty easily since they are hollow. I add a self tapping screw at the top and bottom of each post to keep the fence in place and then add two zip ties to each post. This makes for a cheap and easy make shift fence. It’s easy to tear down and move to another area and the EMT doesn’t leave big holes in the ground or rust. You can also make simple tracking poles out of EMT and you can store simple survival items inside the poles. I find myself using EMT for a lot of different purposes around my home. It is a very versatile product that can be used for so much more than its intended purpose. What products do you use for things other than their intended purpose?